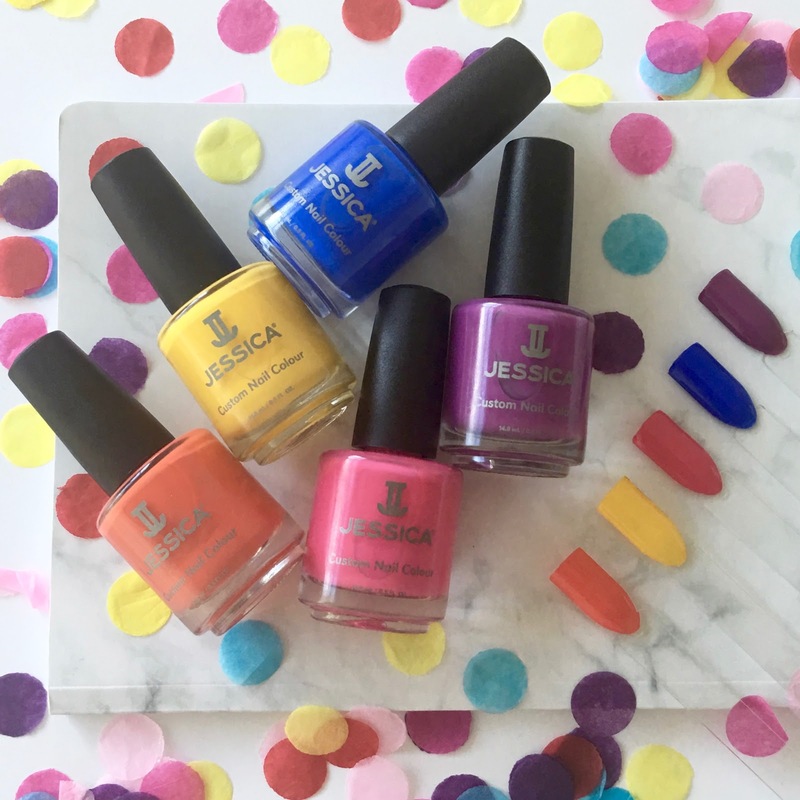 Summer calls for bright and fun nails, and the new prime collection from Jessica is about everything you could wish for. Every sunny summer hue is covered, and you might need your shades ready because they're all beautifully bright. 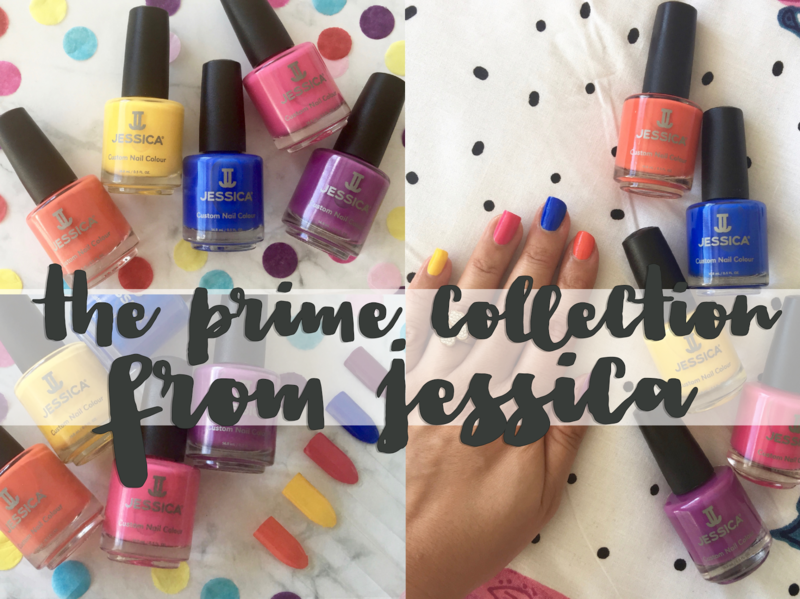 There are five shades in the Prime collection which are yellow, orange, blue, purple and pink. As usual, I couldn't decide which was my favourite so I just went ahead and wore them all! 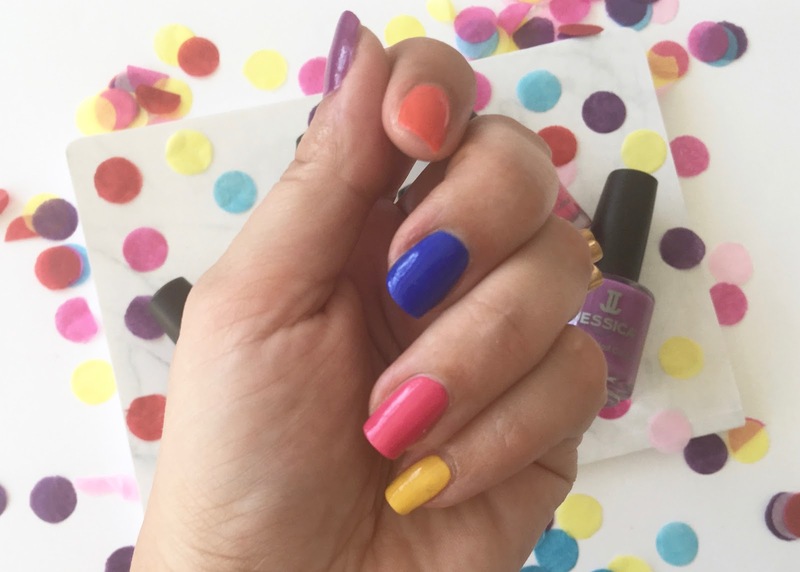 I think you can get away with slightly crazy nails in summer, and I love a skittles mani - it makes me happy when I look down at my hands while I type! All of the shades have really great coverage, in particular the yellow which really surprised me, as it's often a colour that could be streaky and sparse. Most of the shades have really good coverage from the very first coat and the second code hardly seemed necessary. The least pigmented was actually the purple shade oddly, but by the second coat it was looking as perfect as the others. The blue is super electric and is one of my favourites from the collection alongside the pink, I can't resist a pretty hot pink and this one fits the bill perfectly. I've worn this one on my toes already and it's a great colour for peeping out of sandals. The orange shade is my least favourite as generally I'm not a fan of orange anyway, and compared to the rest of the collection this one doesn't seem quite as bright and popping. 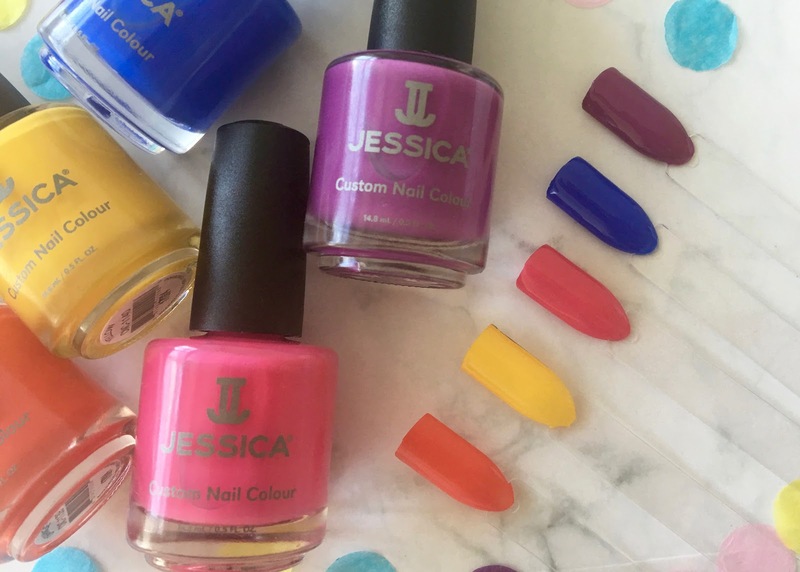 If you're looking to update your polish collection with some bright shades for summer, the prime collection is perfect, particularly if you've been after the ultimate yellow polish. 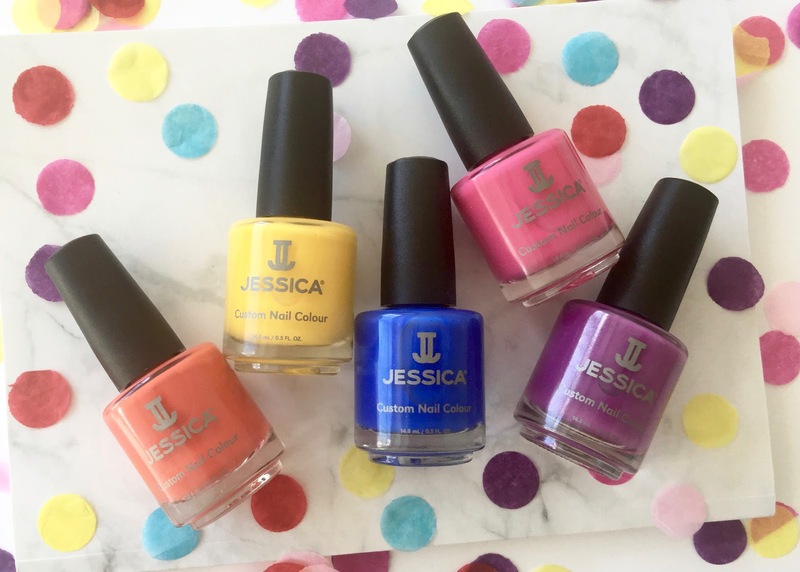 All of the shades in the Jessica Prime collection are available now. Which colour is your favourite?